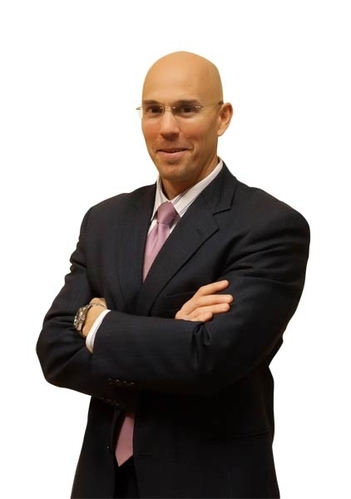 Ben is a former banker turned trial lawyer that conducts business and real estate litigation including defending commercial and residential foreclosure suits. Before becoming a foreclosure defense attorney, Ben spent the bulk of his professional career as mortgage banker and professional loan buyer, purchasing mortgage loans from other banks. Ben’s prior banking career also included managing hundreds of foreclosure cases on behalf of Ocwen Financial. Ben’s unique banking background makes him an undeniable authority, well-prepared to render advice and to litigate mortgage loan issues. During his former career as a banker, Ben conducted loan purchase due diligence on tens of billions of dollars of loan purchase transactions. He has worked for Ocwen, Lehman Brothers, Goldman Sachs, Countrywide, Wells Fargo and many other institutional lenders. More specifically, Ben conducted loan purchase due diligence, negotiated loan purchase and sale contracts, and developed loan purchase pricing and bidding strategies. In Ben’s loan acquisitions consulting practice, he was often hired by the buyer bank to review loan files to determine if the seller bank actually followed their own lending standards. Finally, Ben has been through Countrywide’s forensic loan fraud training. Additionally, Ben maintains a Florida real estate broker’s license and is a former Florida licensed real estate appraiser and former title agent. He has a multi-perspective understanding of mortgage loan issue resolution; including short sale, deed in lieu, foreclosure, and strategic default – and how to work all angles when preparing a strategic foreclosure defense. Because of his unique banking background, Ben has a keen understanding of how banks make decisions on upside-down loans, the financial and banking crisis, lending standards and deviations from sound lending standards, and how these factors impact foreclosure defense in Florida. Ben is also available to be booked for speaking engagements where he speaks on the financial and banking crisis and how lenders view upside-down loans. He has been the featured speaker at the Pinellas Realtor Organization (“PRO”), the Greater Tampa Association of Realtors (“GTAR”), the Mid-Pinellas Chamber of Commerce, The Board Tampa Bay and at a number of other organizations. Outside of the office, Ben’s interests are as well-rounded as his background. He’s an avid fisherman, a disciplined weight trainer, a ballroom dancer, chess aficionado, and a former semi-professional beach volleyball player. Hillard Law Group, P.A. f/k/a Hillard& Rogers, P.A. Business litigation including: real estate, title, banking, foreclosure, corporate law, Mergers & Acquisitions (M&A), and shareholder derivative suits. Hillard, Cuykendall & Allred, P.A. Management of more than 60 “outside counsel” attorneys over a portfolio of up to 700 mortgage foreclosures in 15 states.